Tons of Ubisoft-related news today. The Division has been delayed, we're getting a new Far Cry, and in general Ubisoft titles have been performing well across the board. In particular, Assassin's Creed IV moved 11 million units, Far Cry 3 sold 9 million units, and Just Dance 2014 hit 6 million units. 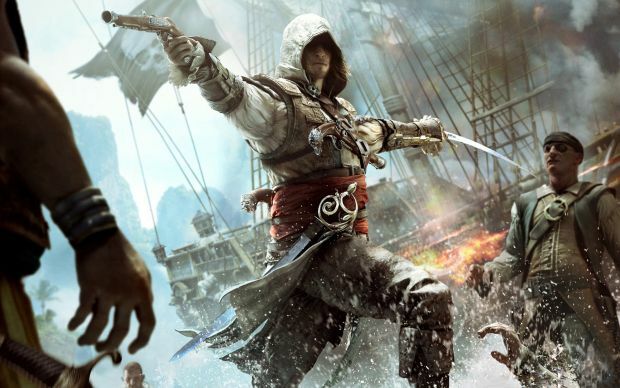 As part of their quarterly report, Ubisoft also shared the top 20 game franchises of the past nine years. The figures were gathered from 2005 to 2013, and is the cumulated retail sales of games that appeared on the Xbox 360, PlayStation 3, Wii, Wii U, Xbox One, PlayStation 4, and PC. Assassin's Creed sits at number four on this list, right behind FIFA, Mario, and the Call of Duty franchises. At number 13 is Just Dance, which comes in right above World of Warcraft. The purpose of this chart was to show that franchises have long-term visibility. Ubisoft hopes titles such as Far Cry, Watch dogs, The Division, and The Crew will be strong contenders for the top 20 list with the new generation of consoles.